The U.S. Supreme Court has long been engaged in a pitched battle with the California state courts and certain federal courts of appeal over the extent to which arbitration clauses in consumer and employee contracts are binding, including where they include provisions barring class actions lawsuits and class arbitration. As the press has reported, what has emerged is fairly clear authority that such clauses can be fully binding, including as to waivers of class-based claims, if they are a part of a validly-formed contract. The U.S. Supreme Court’s most recent decision in this area, in the case of Epic Systems Corp. v Lewis, provides a comprehensive summary of the evolution of the law. We will leave for another day the question of how such a binding agreement can be created, and, for now, will point to some issues that your arbitration clauses should address. 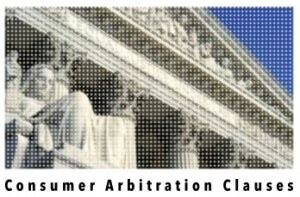 We present here a list of issues you may wish to consider in connection with consumer arbitration clauses. This list is not intended to be exhaustive, but only a heads up, and of course you should consult with your legal counsel for advice. First, special care needs to be taken to make clear what issues the arbitrator is empowered to resolve. The last thing you want is a clause that leaves certain matters unexpectedly outside the scope of your agreement. One potential problem area involves disputes as to the validity and enforceability of the arbitration clause itself. You may end up litigating such challenges in court if you fail sufficiently to assign the matter to arbitration. Second, does the clause address class actions? The class action risk exists not only in court proceedings, but also potentially class arbitration. Does your clause address adequately the risk of exposure to class action claims via arbitration? One of the benefits of a well-crafted arbitration clause is to address the potential risk of extortionate class actions in both litigation and arbitration. Third, is your arbitration clause sufficiently consumer friendly and clear? Because such clauses can involve substantial waivers of legal rights, including the right to a jury trial, it is imperative that they be in plain language, that they be as short as reasonably possible, and that the consumer be prominently warned of their presence and implications. As these clauses can often be the most important part of the consumer agreement, making them as prominent as possible can enhance their enforceability. Fourth, make sure that you include language, consistent with the selected arbitral forum, that reflects the protection of consumer rights, including as to arbitral fee limits/shifting, changes in location, and other issues that are consistent with making the arbitral forum easily available and not unduly burdensome to the consumer. This is important because consumers can still claim that an arbitration clause is “unconscionable,” i.e., that its terms are inordinately one-sided and oppressive. One of the greatest legal threats faced by direct marketers is the class action lawsuit in which thousands or millions of claims are aggregated into a single proceeding, and in which even the smallest error — including those that result in no harm to consumers — can create an enormous windfall for class action lawyers. The costs of class action litigation in court, even simply to have the case dismissed, can be draconian. Coupled with extensive discovery rights, notice to class members, and significant publicity (which can lead other lawyers to pile on), and virtually no downside risks for those filing such lawsuits (such as fee-shifting), an appropriate arbitration clause provides the best chance (though by no means guaranteed) of preventing such situations from arising. Every company, therefore, ought to consult with their attorneys to see if there is a way to include arbitration clauses that help to defend against class actions as part of their contractual relationships with consumers, including website visitors.